I can’t believe that the end of Summer is rapidly approaching, although, after surviving without AC for 3 weeks while DC was hit with a heat wave wasn’t fun. It was even too hot to read at one point – my brain felt like it was going to turn into much. But, moving on, let’s celebrate with a giveaway. Comment below to win by answering this question…Have you ever listened to an audiobook? And if yes, which one was your favorite and why? (I’m always looking for new recommendations). Oh I love audio books. I think lately my fave has been I Hunt Killers by Barry Lyga. I’ve never listened to an audio book before. But I’d love to try! I have never listened to an audio book before. Thanks for the chance to win! No problem – good luck! I have been tagging my audiobook reviews as such, so if you want recommendations feel free to check them out. I’ve only listened to one book and that was an Agatha Christie. Yes, I have listened to some audiobooks, but not a lot. My favorite are probably Shatter me or Ready Player One. Just because the narrators did a great job and because I loved the story ! I’ve never actually had the privilege of listening to an audio book before. If I win, this will be my first time! Thanks for the giveaway! I love introducing people to audiobooks 😉 Good Luck!! I love to listen to the Stephanie Plum series by Janet Evanovich and the In Death series by JD Robb. My daughter left NOVA & is spending the summer with me.I need a good book to read. And my best in 2012 was The Forgotten Garden, review here: http://wordsandpeace.com/2012/05/03/2012-21-review-the-forgotten-garden/ to see why. I also listened to the Garden of Beasts for a reading challenge needing something in Germany! Thanks so much for participating. I have shared this on facebook and twitter. I have never listened to an Audiobook. I LOVE reading so much that I am afraid that it would take away most of the fun. I dont want to waste money by trying one and find out that it was awful! I listen to a lot of audiobooks from the library. My favorite is usually the one I’m currently listening to! But the one I can’t forget is “Travels with Charley” narrated by Gary Sinise. It was amazing. I just recently started listening to audiobooks, and now I’m completely hooked! One of my favorites is On Thin ice by Anne Stuart. I’ve never tried to listen to an audiobook. I’ve always wanted to try, but I’m not even allowed to get a hardcover book. This is a great chance! Thanks so much for the giveaway. I’m sorry about the heat wave though. I remember what it was like in Texas after a hurricane hit. It was awful I just wanted to lay down and didn’t even want to catch up on reading. I have, one classic attached to a magazine. I don’t buy audiobooks because they are so freaking expensive! But my dad sometimes gifts them to my mom when she’s travelling. I love audio books. I can combine two of my hobbies that way. I can listen to a book and do a 1,000 piece jigsaw puzzle! oh yes, all the time. My favorite would have to be the Leven Thumps series by Obert Skye and of course the Harry Potter series. I’ve just recently started listening to audiobooks to and from work and I love them! So far my favorite has been The Help. I love audiobooks. My very favorite was The Hatchet. Yes, I love hearing audiobooks! Some of my favorites have been The Hunger Games triolgy, Song of Fire and Ice Series, Strange Angeles, Janet Evanovich books. They are great when you need to be hands free but still want to enjoy a good book! I have never listened to one. print or ebooks are just cheaper and right now, I have to go with what I have! I would love to try one though,. Thanks! I love audiobooks! Audible is great for iPod users. I have listened to soo many books through Audible. I suppose my favorite audible book to listen to so far was A Discovery of Witches by Deborah Harkness because it flowed really well and the narrator was good. oh i will – my problem right now is almost too many audiobooks, too little time…lol! Have never listened to one – I always think I will…not had the opportunity lately. I have never listened to audio books, but I would love to start and use them instead of music when I am walking or on the treadmill. My husband loves audiobooks and has gotten me into them. I prefer to use this method to re-read some of my favorite series, especially before a new book, movie, or even TV season comes out. My favorite books on audio have to be the Harry Potter and Rachel Morgan (by Kim Harrison) series. This is not only because they are two of my favorite series, but because the readers, Jim Dale and Marguerite Gavin (she reads all but one of the Rachel books), do such a fantastic job with the books. What an awesome thing to giveaway! I’ve just recently started listening to audio books. My favorite so far is David Sedaris – Squirrel Seeks Chipmunk. My favorite was “The Adventures of Huck Finn.” I loved listening to it in the original form it was intended by Mark Twain before PC hit the it. I love listening to audiobooks. The problem is I have only had a couple. I would love to have more to listen to. I liked Dracula to listen to. I haven’t – wouldn’t mind though – my commute is 40min one way. It just never really occurred to me. My favorite audio book was Laced by Carol Higgins Clark. I love all types of books and have found that when driving from WV to KS they are a great way to pass the time. I’ve heard good things about Jennifer Weiner books, but never read or listened – do you have any recommendations on where to start? I’ve never listened to one but I want to! I’ve listened to most of the In Death series by J.D. Robb on audio book and they’re hands-down my favorites! I’ve listened to a bit of The Help. I had to learn the accent for a school play 😛 Thanks for the amazing giveaway! I haven’t listened to any audiobooks yet. 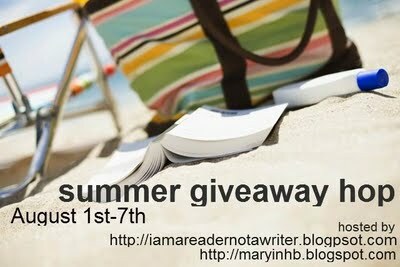 I have listened to Summer Rental by Mary Kay Andrews and I loved it. I can’t wait to listen to more audio books! I have never listened to an audiobook but I have seriously been considering it lately. I do a lot of my reading before bed and sometimes I wish I could just listen instead of actually have to read it. Haven’t listened to one yet. I’d like to, though. I have a long commute to work! Thanks! believe it or not but i have never listened to audio book before but would love to!!! I have never listened to an audio book before. Thank you for the giveaway! I have never listened to an audio book before, but my iPod would be happy to have one. My favorite audiobooks are the Harry Potter series. Jim Dale does such a fabulous job with the voices. THE HARRY POTTER AUDIOBOOKS BY Stephen fry are the best i’ve ever heard. I have never listened to an actual audio book but I listen to my text to speech funtion on my kindle all the time while I am driving or folding laudry, etc. I am sure audio books are much better but they are so much more expensive. Yes, I listened to Sense and Sensiblity on Audio Book. I really enjoy audiobooks when they are well narrated. It is a definite to me that a narrator will make it or break it. Some I have listened to that are awesome are the J.B. Beaumont series by J.A. Jance and I recently had the pleasure of listening to an audiobook from Janet Evanovich’s Stephanie Plum series, which I am still listening to and really enjoying. Thank you so much for your generous participation in this fun hop. I haven’t listened to an audio book yet. I love audiobooks. I listen to them during my commute to work. My favorite is the Dragon Tattoo trilogy, because it was a pretty good thriller.